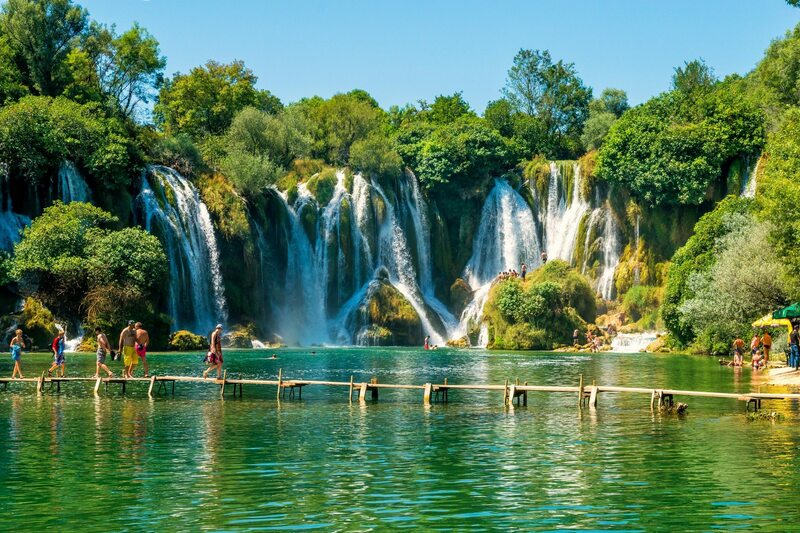 Relax in untouched, wild nature of Kravice Waterfalls, one of the most attractive natural landmarks in Herzegovina region. Pick Up takes place at the arranged meeting point. Our travel starts with a drive through the border between Dalmatian coast and the hinterland. 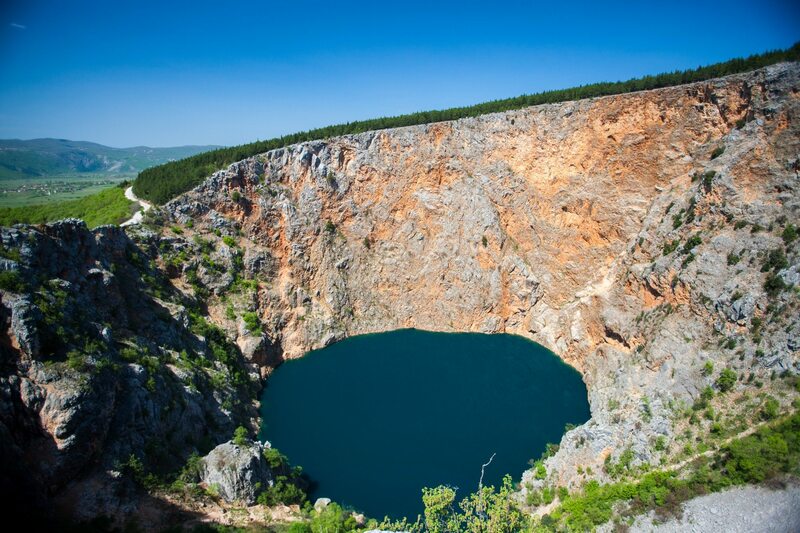 On the way to Mostar we will visit admirable karst’s effect and natural beauty of Blue and Red lake. Afterwards we will go upstream to Mostar city. 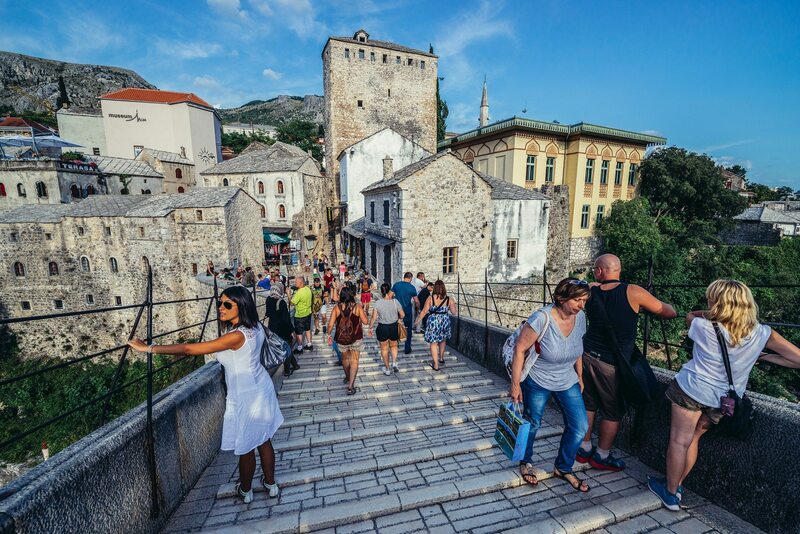 In Mostar, our local tour guide will introduce you to a great history of this city known as a window of the Orient. We will visit the old Baazar, full of picturesque shops and workshops, the Mosque and afterwards we’ll enjoy a walk along the famous Turkish Old bridge from the 16th century after which the town was named (most- bridge). 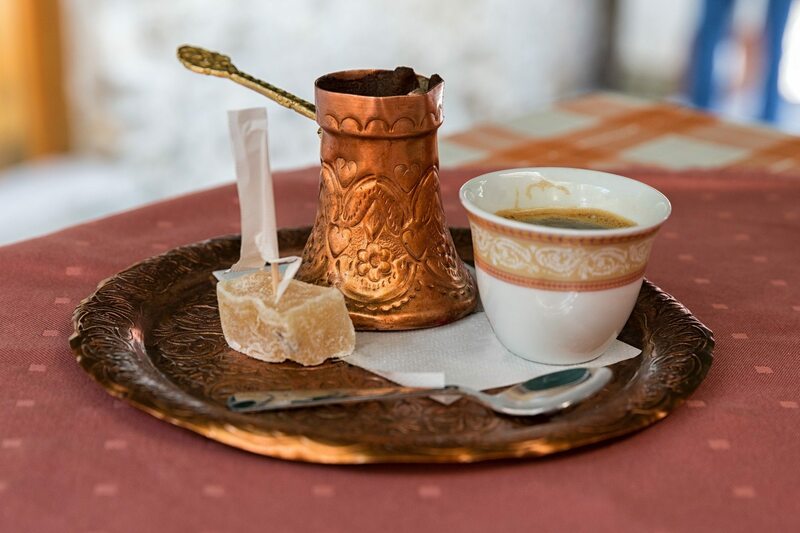 You will have free time for shopping and opportunity to taste authentic Bosnian specialities like cevapi, pita or burek. 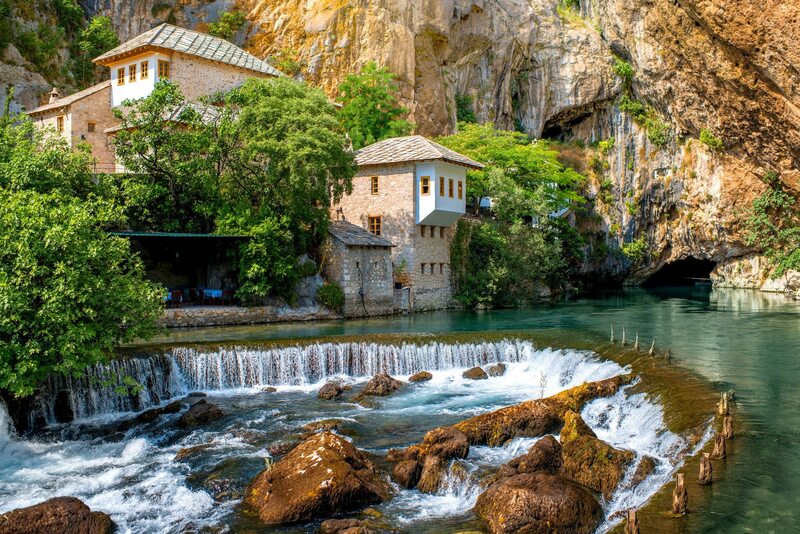 Then through the wild beauty of Bosnia and Herzegovina we will come to natural and architectural ensemble – Vrelo Bune, one of the largest and most beautiful springs in Europe. You will walk through the footsteps of the ancient legends and will enjoy the natural values of this place. 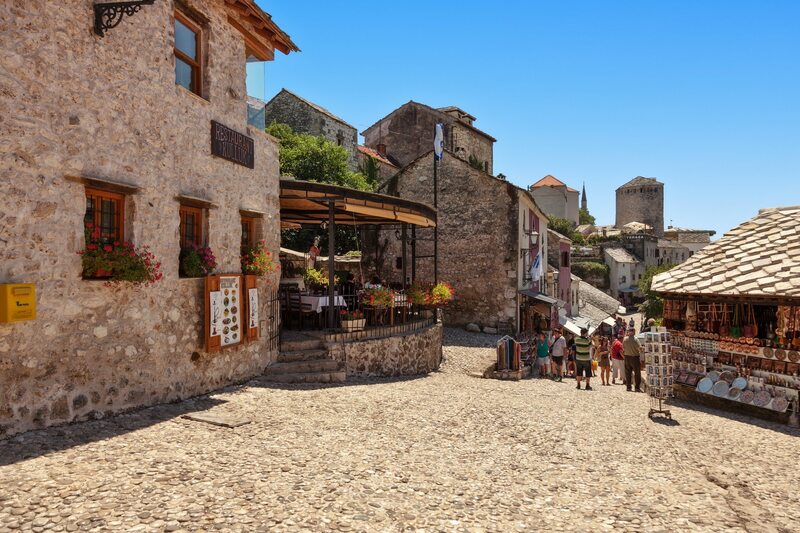 Your journey continues along the picturesque Neretva River to Pocitelj town. On a guided walking tour discover the ancient history of this historic site and admire the historical landmarks as Haji-Ali Mosque and Sahat-kula. 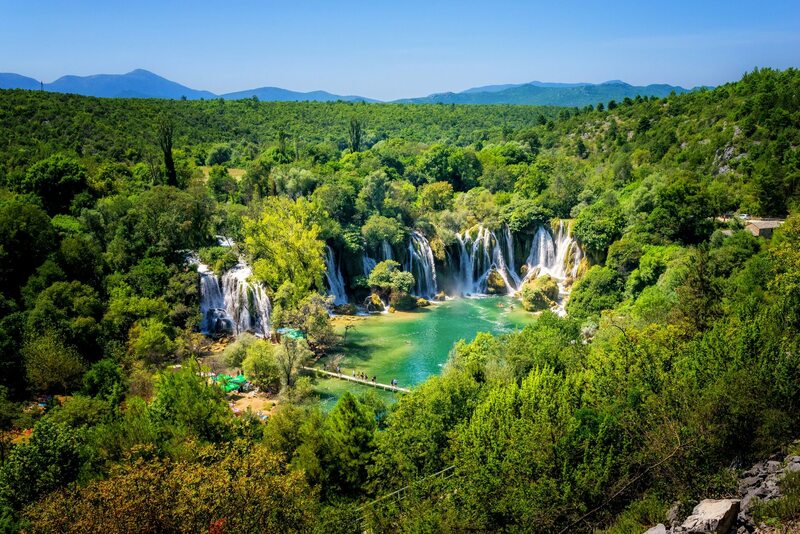 Aftewards, take in views of the Bosnian countryside as you drive towards Kravice Waterfalls – one of the most attractive natural landmark in this region. Stroll around with your tour guide who will talk to you about the sparkling waterfalls. Enjoy your free time to explore independently or to swim in this popular swimming and picnic area. After your sightseeing tour and time at leisure, return to Split in the late afternoon. 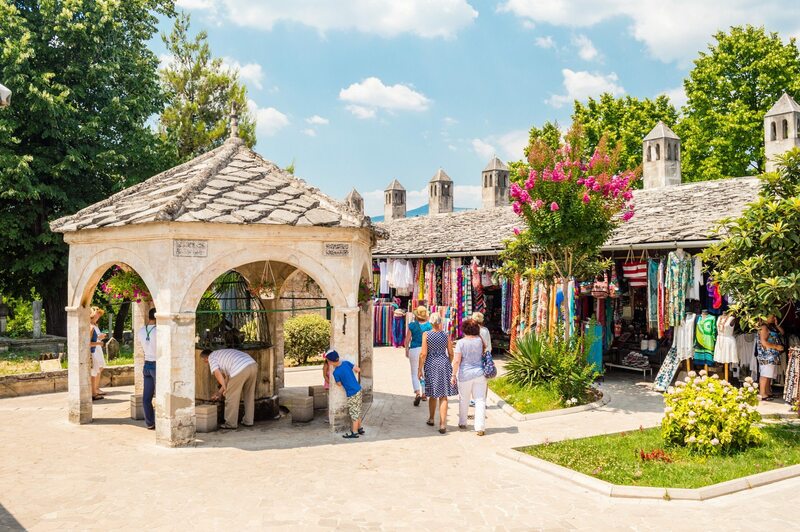 PRICE INCLUDES: Pick up and Drop off at your hotel, villa or private apartment, Official English-speaking tour guide / driver, Official English-speaking local tour guide for a private sightseeing of Mostar, Transport with comfortable high class sedan car or passenger van, Road tolls and parking, All taxes and VAT. 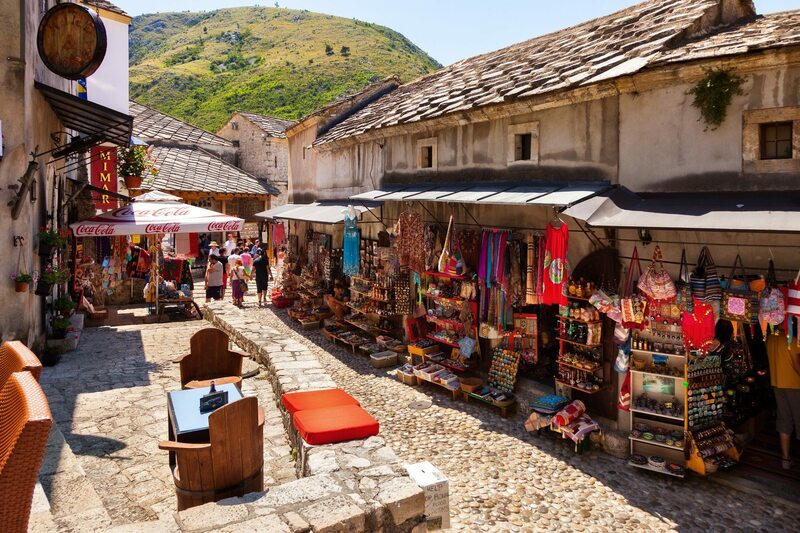 Our private Mostar and Herzegovina Highlights tour can be adjusted to suit all styles of travel. If you haven’t found what you were looking for in our itinerary, feel free to alter any part of it. *Lunch can be organized in some of the beautiful locations visited on this tour. 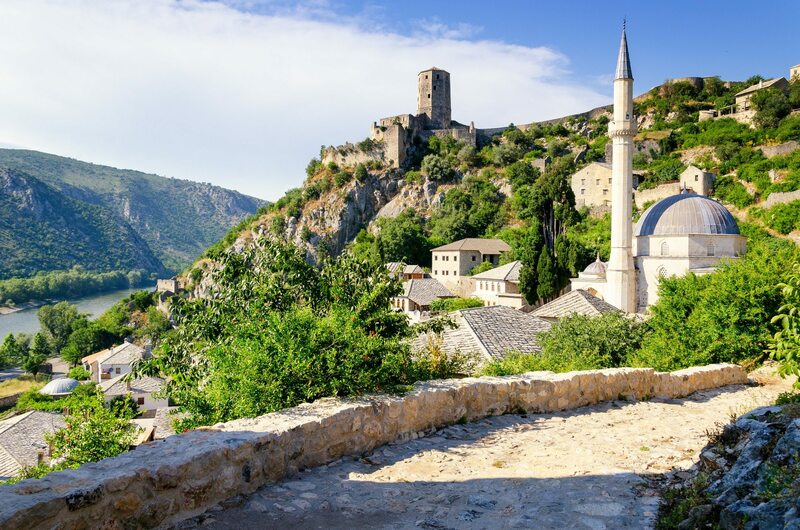 We did a day trip to Mostar and Herzegovina and if you have the time while in Croatia this is not to be missed. Our guide Andrija was very informative and definitely wanted to show us the best of the best. 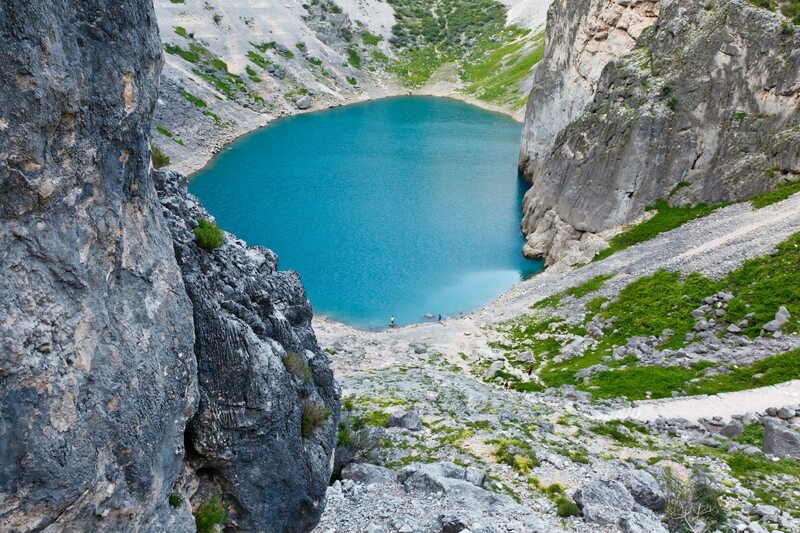 We tried typical Bosnian food, saw the beautiful town of Mostar and also stopped in Imotski see the Red and Blue lake. We also managed to see two gorgeous waterfalls before driving back over the border in the evening. Special thanks to Anita who helped us organise this tour and to Andrija for making this a super day. Booked before we arrived in Split but had no problems finding the tourist office and paying up for the trip before we departed. Pickup was prompt and our guide was very friendly as we made our way to several points of interest on the way to Mostar. Local guide at mostar was very friendly as well and made sure we got as much information as possible in the time we had. We had loads of spare time in each place and really enjoyed the opportunity to meet the locals at each location and wander around freely. Definite worth the extra to get the private tour which meant faster transport and ability to customise our tour for the day Would rate bith the Company and guides A++ & wouldn’t hesitate in recommending this company for any tours departing from Split .